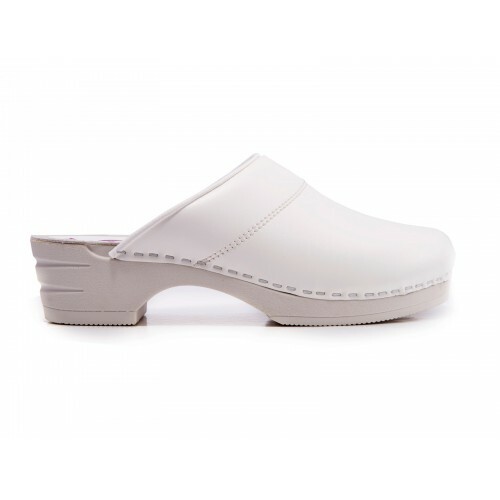 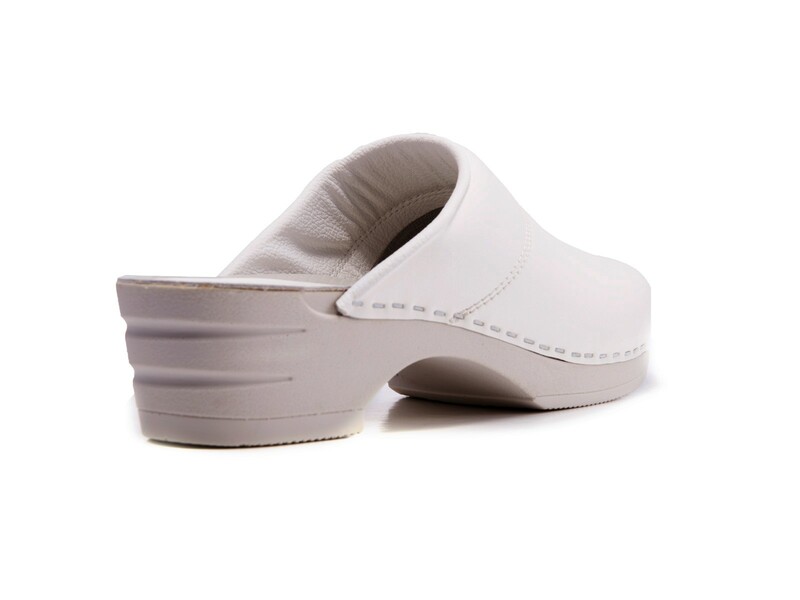 The clogs have a natural fit and the flexible sole is very supportive and silent. 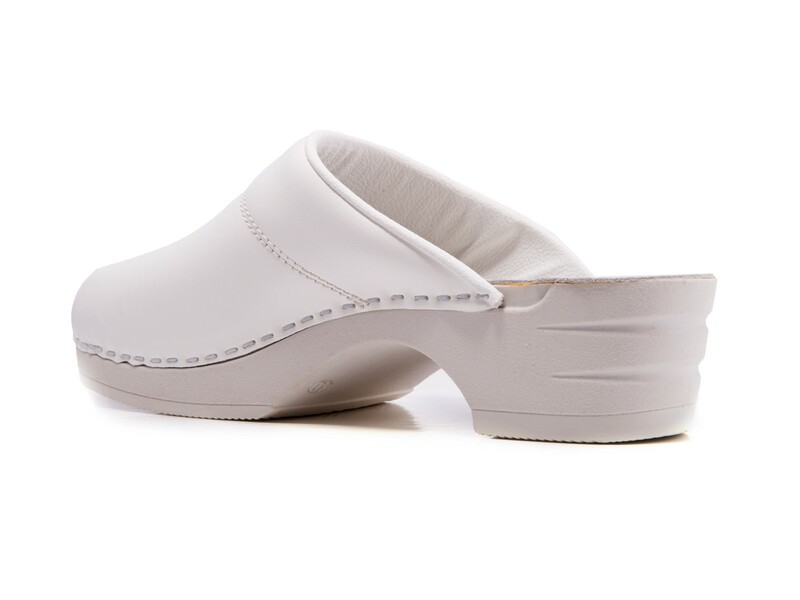 They are made from real leather which is flexible and easy to keep clean. 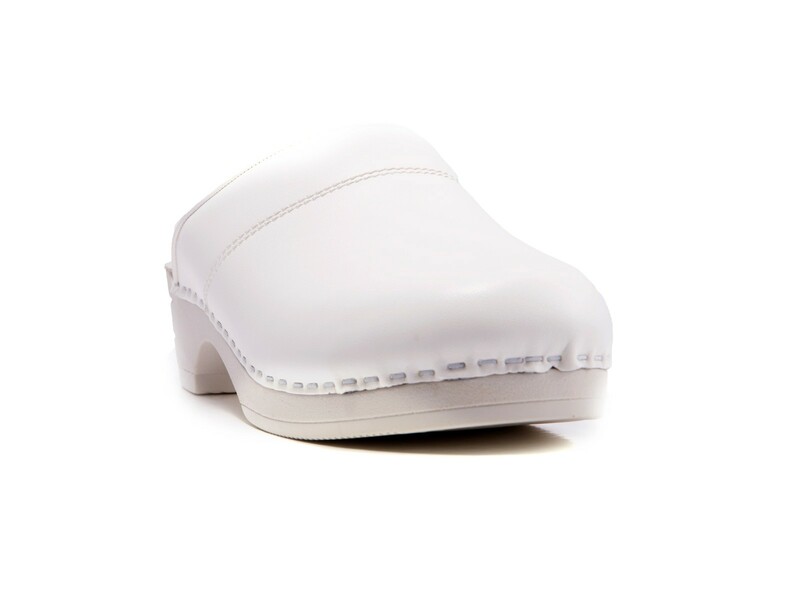 The clogs are simple in design and look great!